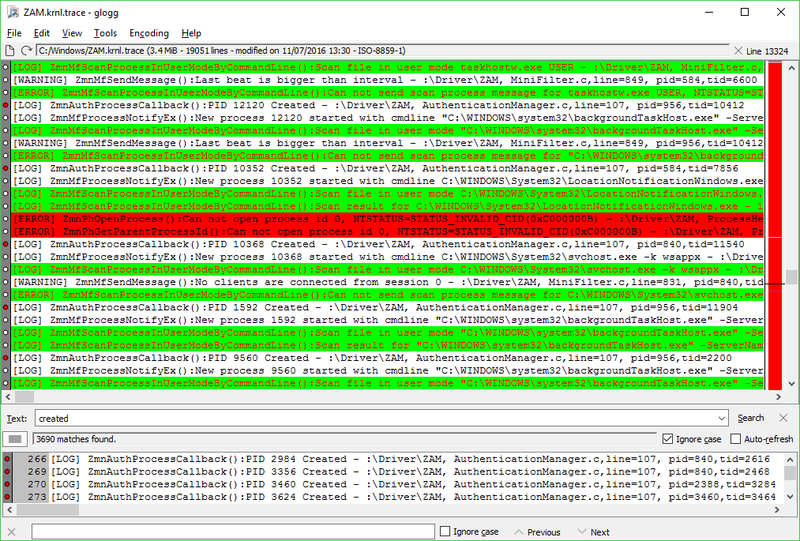 Glogg is a free tool for browsing and searching even the largest or most complex log files. The program reads source files directly from disk, and doesn't load them entirely into memory. This improves speed as glogg doesn't have to open a document in full before it's displayed, and also means there's no limit on the size of files you can view. At its simplest, you could just use glogg as a plain text viewer. Open a log, browse the file, and the program grabs and displays new log lines as they're added. There's also a search box. Enter a plain text keyword, a regular or extended regular expression and any matches are highlighted in the main window and displayed in a separate pane. Enable "auto-refresh" and glogg also reruns searches as lines are added, ensuring the matches are always up-to-date. Glogg also supports "filters", essentially canned searches which change text colour in the document window. You could have lines containing "error" displayed as black on red, for instance, while lines containing "success" are black on green. A nicely balanced log viewer, easy to use and not overloaded with complex features, but also powerful enough to give demanding users the key features they need.